It's widely acknowledged that adapting a source from one medium to another may cause many of its most distinctive elements to get lost in translation. On the rare occasions that an attempt is made to re-adapt the adapation back to its first form, the results can be disastrous. This is the fate that befell The Producers, which started as a great Mel Brooks film, then became a very good stage show, and finally ended up a rubbish second film at the hands of first-time director Susan Stroman. At first glance, Hairspray should be cause for concern since it follows the same troubled route. Cult director John Waters' 1988 film was a modest hit, which became a huge, award-winning hit on Broadway, which in turn has now produced this adaptation of the musical helmed by Adam Shankman. But despite the director's lack of pedigree, and less emphasis on politics than fans of the original may like, the end result is a perky, uplifting, thoroughly entertaining romp which makes the most of both its newcomers and established cast. 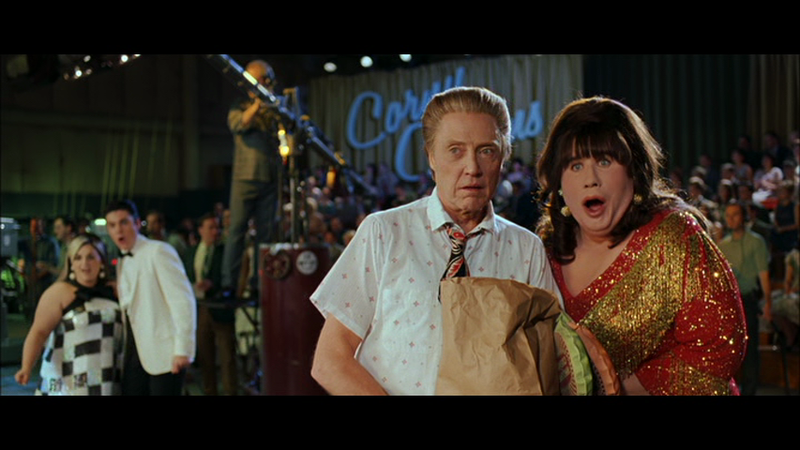 The first of many surprises with Hairspray is the fact that someone as bad as Shankman could have pulled it out of the bag. Shankman's directorial roster either side of this is, in the words of Mark Kermode, "a load of old poop", containing duds like Cheaper by the Dozen 2, The Pacifier and Rock of Ages. His background in choreography would lead us to predict another High Society, namely a musical where the director (whether Shankman or Charles Walters) is far too concerned with giving his actors enough room to dance to worry about the small matter of capturing emotion. A more illuminating comparison, however, is with Jon M. Chu, who directed the second and third Step Up films around this time. The differences between the directors' projects seem obvious even at first glance, with the Step Up films lacking a period setting, political ambitions or sometims even a coherent storyline. But more crucially, Shankman understands that there is more going on in a musical number than just the song or dance - and on a wider level, that a musical film has to be more than just a series of said numbers. While Chu's films are at their most basic a series of disconnected music videos, Shankman manages to keep his eye on the story even when things are at their most visually flamboyant. 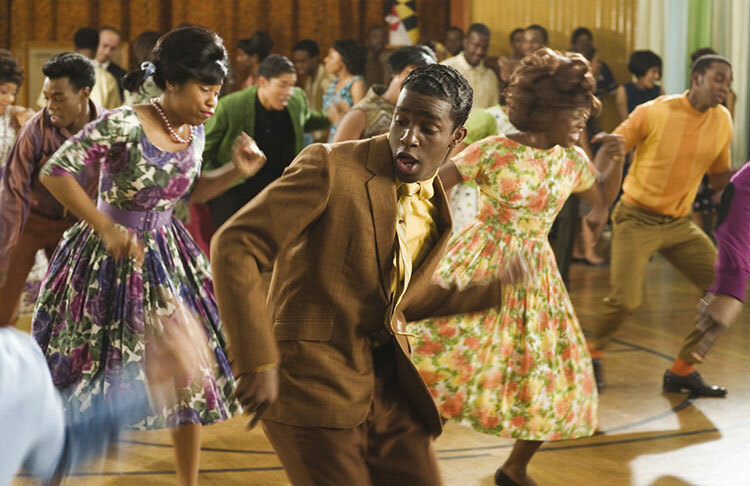 For a story about civil rights and the marginalisation of the Black community in America, Hairspray is surprisingly, perhaps even refreshingly, shiny and light. The original was one of Waters' more mainstream efforts, garnering a PG rating where his previous work had been X-rated almost by default. But even given its Broadway background, where big emotions and melodramatic storytelling run riot, it is striking to find a mainstream musical this willing to enjoy itself. Certainly the campy spirit of the original prevents us from accusing the remake of 'lightening down' the premise or message. When I reviewed High Society three years ago, I said that its biggest problem was a lack of subtext to which the central relationships could be anchored. I said that "when you have a cast of so many famous faces, we need something to believe that we aren't just watching a lot of stars enjoying themselves with no regard for the plot." For all the charm of seeing Bing Crosby and Frank Sinatra together, or the historical significance of Grace Kelly's last performance, the film lacked the substance and narrative discipline of The Philadelphia Story nearly two decades before it. 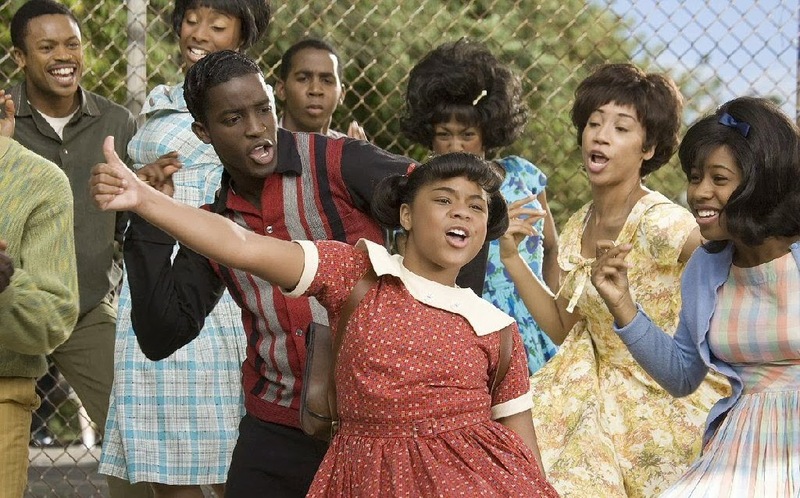 It's fair to say that neither Hairspray film is going to meet your expectations if you come looking for the likes of Selma and 12 Years A Slave. Both versions are films which wear their hearts on their sleeves; they don't tease out their message through composition and clever dialogue, they flaunt it on the back of big facial expressions and catchy music. The campiness of the original is exchanged here for the wide-eyed, earnest yet carefully rehearsed optimism of Broadway. In each case, the subtext is there if you want to go looking for it, but it's presented in an entrist, accessible way for its target audience, and never feels the need to talk down to them just to make a point. The question that immediately follows from this is whether a remake was entirely necessary. 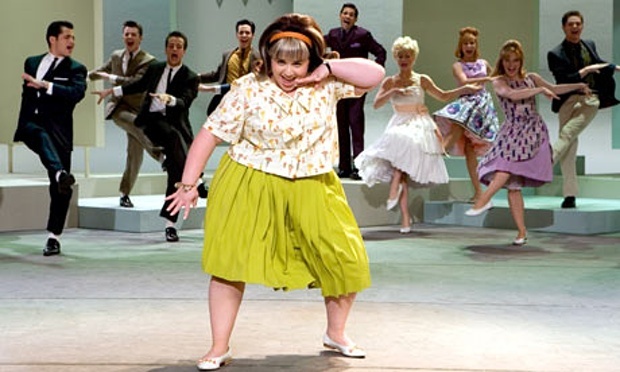 Despite being acclaimed at the time, the original Hairspray isn't as widely known as perhaps it should be; certainly it's no less. campy in some respects than The Rocky Horror Picture Show. This remake is very faithful to the original in several key respects, and it's unclear how much people it will draw to the original by virtue of its existence. 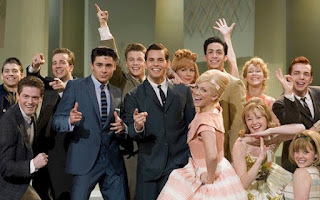 But it also manages to justify itself as a musical in its own right, with memorable characters, well-written songs and some good performances. Whether to appease fans of the original or simply out of love of Waters' film, Shankman goes out of his way to include references to the original. 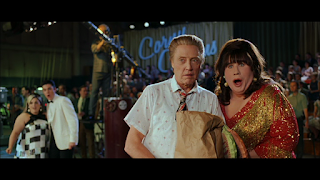 Ricki Lake, whose career was launched by Waters, has a cameo appearance as one of the talent agents, while Waters himself gets a very brief cameo as a flasher in 'Good Morning Baltimore'. On top of the original film and Broadway cast turning up in reasonable quantities, many of the new faces seem to have been cast partly to resemble the old ones, with Michelle Pfeiffer's hairstyle and cheekbones echoing those of Debbie Harry and John Travolta carrying on the drag tradition embodied by Divine in his final film role. In any other circumstances, this abundance of winking at the audience would either become overbearing, like the many cameos in John Landis' films, or prevent this version of Hairspray from standing on its own. But Shankman pulls it off, positioning the old faces so that the fans will appreciate them but not so that they derail the plot by self-consciously sticking out. Even with the physical resemblance, Pfeiffer still has the natural charisma to make the part her own, delivering lines about "screwing the judges" with acid aplomb. Much has been made about Travolta's appearance in the film - an appearance which required him to spent four hours in make-up each day to apply silicone prosthetics to his head and neck, along with foam on his legs and arms, and a spandex and foam body suit. Having turned in so many lazy performances over his long and frustrating career, it's refreshing to see him throw himself into a role without any ego or self-consciousness. And while he's not as immediately charismatic or funny as Divine, neither is he creepy or unnerving. Ultimately it's not his film anyway, so you can enjoy it even if his performance rubs you up the wrong way. 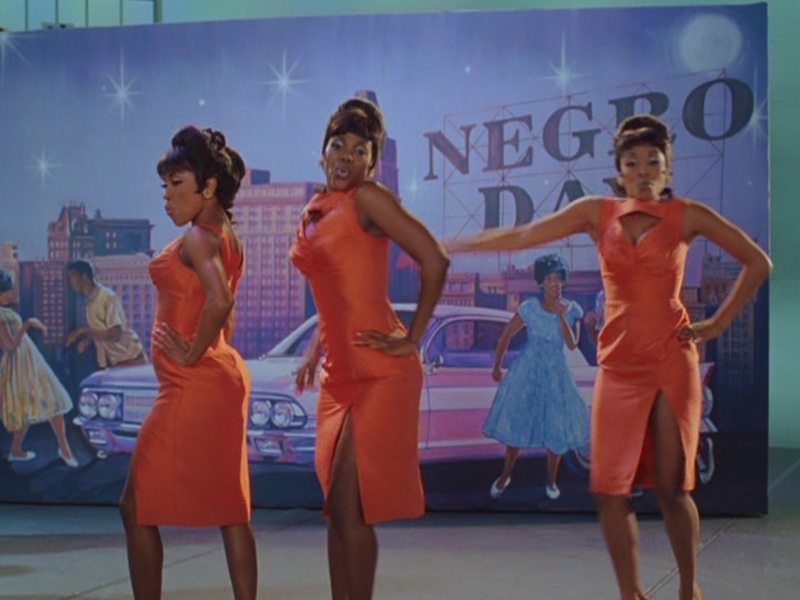 This brings us on to the musical numbers in Hairspray, which are generally really good. Many musicals derived from films throw in a bunch of songs where they were never going to be useful or necessary, simply because songs are needed for it to be a musical. 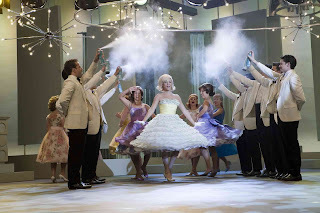 But Hairspray justifies its numbers very well, partly through their congruency to the background music of the period, and partly by the performers delivering them. One of the old-school highlights sees Travolta and Christopher Walken convincingly duetting on '(You're) Timeless to Me', while the climactic 'You Can't Stop The Beat' is completely irresistible. There are a couple of drawbacks with the new Hairspray which prevent it from being a knock-out success. It is nearly half an hour longer than Waters' version, and at certain points this really shows, with scenes such as those with the different groups of children noticeably dragging out. Shankman's hardly the most disciplined director around, and his editor Janice Hampton keeps the pace of the film at the same steady tempo throughout, when really we should feel it gathering speed as it builds towards its climax. Having a much higher budget than Waters enjoyed, it's an example of how having more resources isn't always a good thing. The other big niggle with Hairspray is its earnestness. The campiness of the original meant that it could be appreciated both with a straight face and ironically, something which isn't an option with this version. While Broadway and musical fans will be used to the style and approach to charactersation, the film's lack of any edge or hard underbelly could prove alienating. If you struggled to get through the later Step Ups, late alone the High School Musical series, this will be a difficult watch for you. 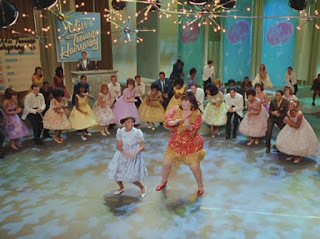 Hairspray is a highly enjoyable, light-hearted romp which, unlike many remakes, justifies its existence to a very large extent. Its main performances are enjoyable, its songs are well-written and nicely executed, the visuals are bright and perky, and despite its occasional bagginess it holds together really quite nicely. Purists and Waters fans may still clamour for the original, whether for its politics or its camp value, but for anyone just in search of a good time, this is an ideal selection.